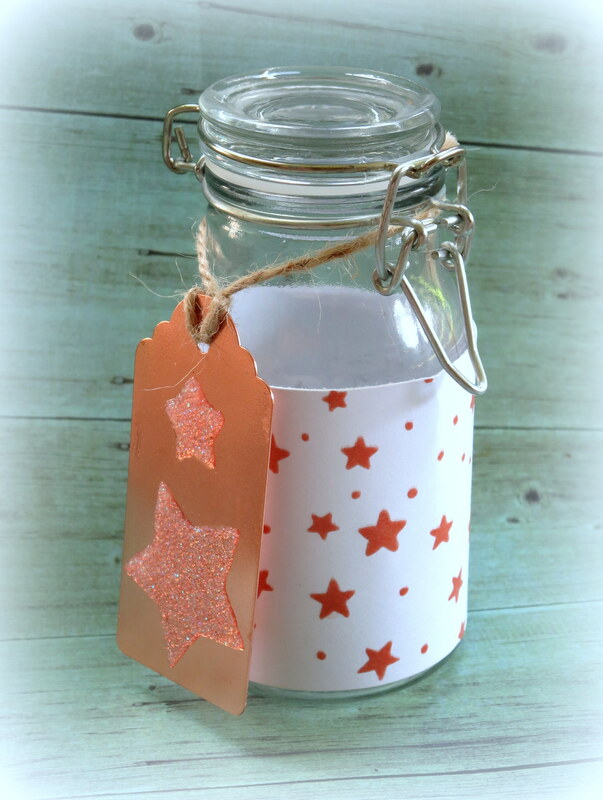 Hi, friends, it’s Chark here again to share a little glass jar I found at the craft store and then fancied up a bit. I found these awesome tags made of copper metal at the Dollar Spot at Target and scooped them up. 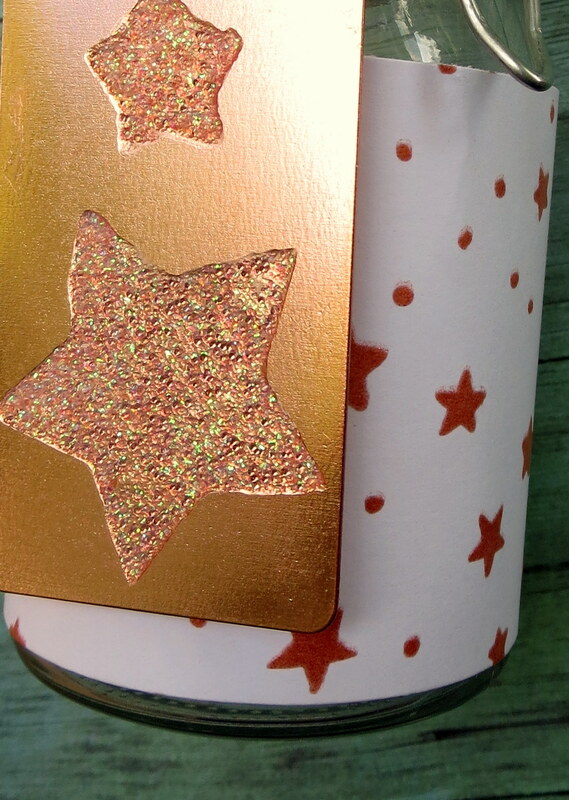 If your Target doesn’t carry them, you can use copper paper and cut it in a tag shape to mimic the effect. I wanted to add some glam to the tag, so I heat embossed with my star stencil and glass bead embossing paste. It dries clear and sparkly and it has more texture than regular embossing paste, thanks to the glittery bits. Here’s a close-up view of the embossing. For the paper label, I mixed clear embossing paste with Copper Pearl Ex, which I love but don’t use often enough. Then I used an old gift card to smooth it through the star stencil and let it dry. As it dries, it becomes a lovely shimmery copper color. I just trimmed the paper and used roller adhesive to affix it to the jar. Now it’s ready to fill with a little candy or money. I think filling it with copper pennies would be fab. I also thought of filling it with sequins—wouldn’t that be fancy?! p.s. did you know that we are on Twitter, Instagram and Facebook? If you haven’t done so already, please follow us on these different social media outlets!! You don’t want to miss out on any fun promotions!! 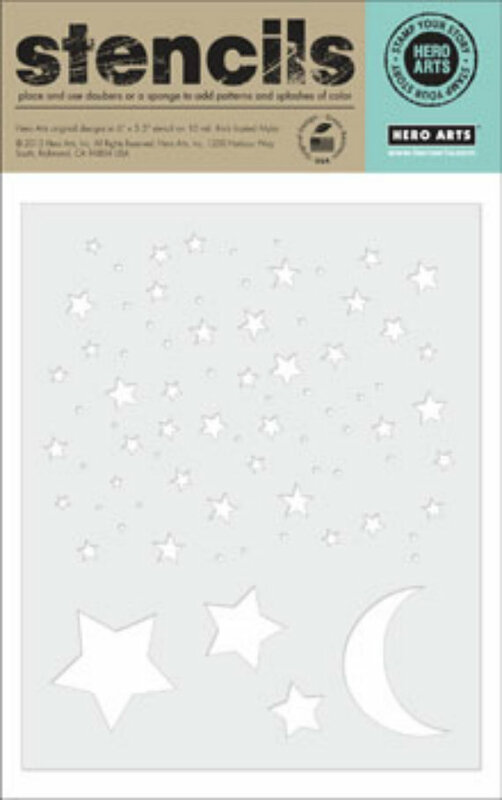 Categories: Challenges, Home Decor, Stencil | Tags: august, chark, copper, glass bead paste, jar, Star, star stencil, tag, texture | Permalink.